ODISHA – Good news for the Red Cross Blood Bank, which thanks to SBI Life Insurance, a life insurance company, now has the possibility to extend its web of assistance also to outspread needy people. The Blood Bank has always helped people, in Thalassaemia patients since 1997. This is why the Bank has been recognized as the Highest Voluntary Blood Collection blood bank in the state for 5 years in a row by the Chief Minister of Odisha. 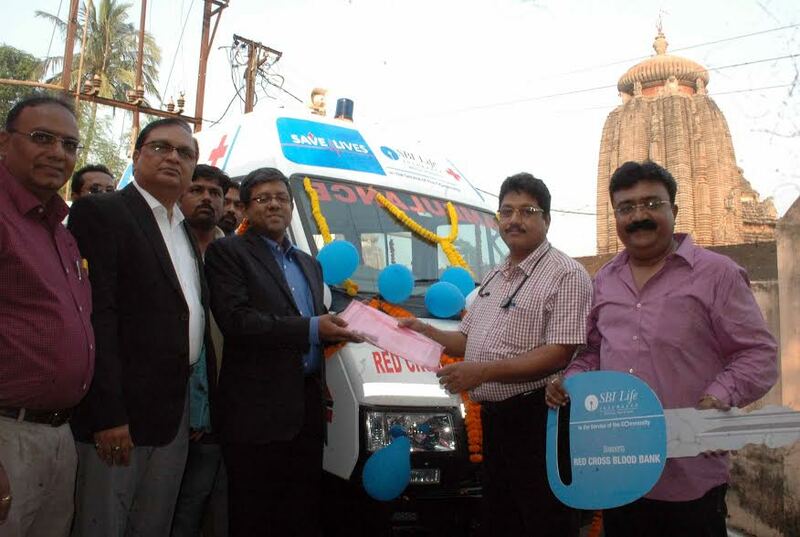 SBI Life understood the need of the Bank for a new ambulance for their operations. Mr. M. Anand, Executive Director, SBI Life Insurance handed over the keys of the ambulance to the Chief Medical Officer of the Blood Bank, Dr. Sanjay Ray, Chief Medical Officer, BMC Hospital, Bhubaneswar. With this new vehicle, the Bank will be finally able to reach and support people in remote areas, improving their efficiency. Both SB Life and Red Cross Blood Bank believe in the same purpose: help people by holding blood donations camps in the city. Hiring a vehicle for such an activity is very expensive, and an ambulance represents the easiest and cheaper solution for the Bank. Blood Bank ambulance would be furnished with facilities like a stretcher, oxygen cylinder, IV bottle holder, first aid box, electric plug point, seating for doctor, attendants, etc.